Like every year, also this one, the anniversary of the Battle of Leuthen is coming. 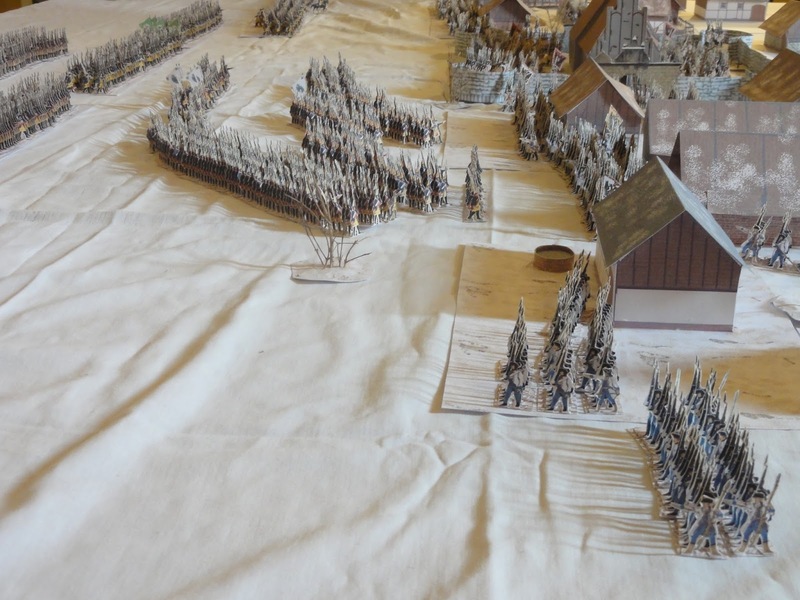 As every year, I am late with the cutting of my papersoldiers, preparing them, finishing the wargame rules and all that stuff that makes so great some other blog in the net (like for example the fantastic Der Alte Fritz Journal). 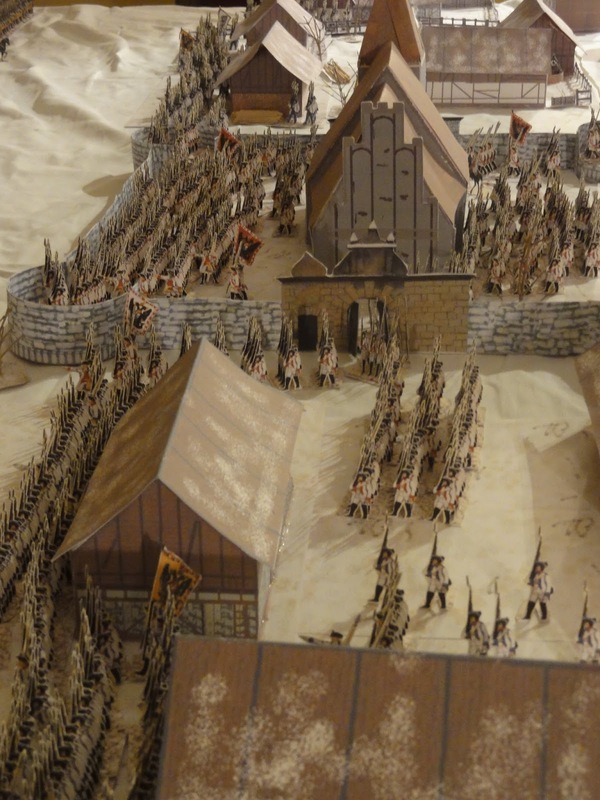 I really would like to recreate this battle with all its circumstances, but still there is a lot of work to do and moreover a lot of papersoldiers to be cut. Other problem is also the fact that I wander through other projects, like the Battle of Austerlitz 1805, the Battle of Turin 1706 or the Battle of Halmstad 1676. 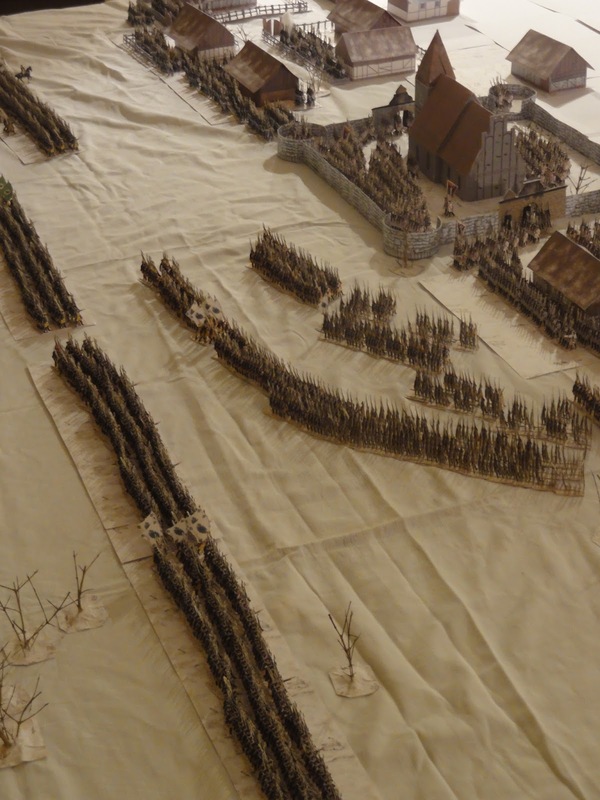 Or simply the attack on the village of Leuthen in general as pictures above. Actually the idea would be the defense of the bridge at Lissa, north of Leuthen the evening of the Battle with some Austrian Regiments. 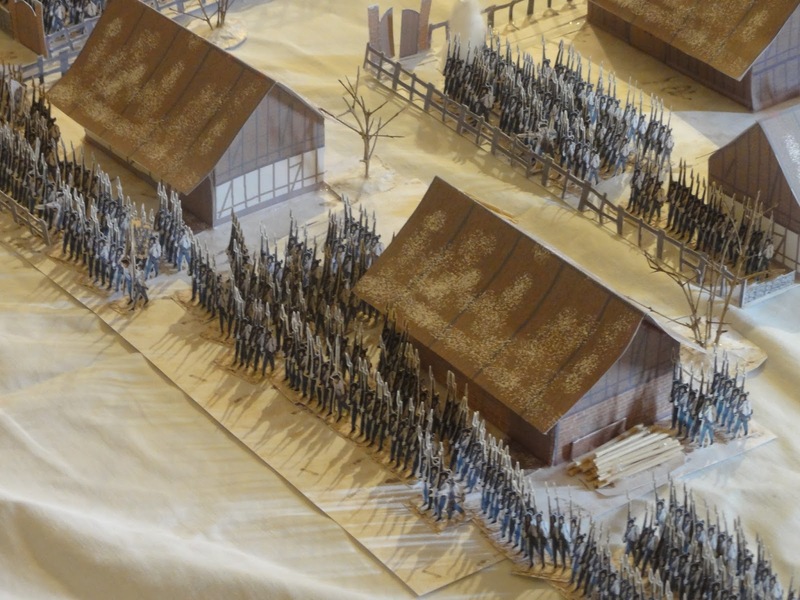 Let's see if I am able at least to do that, otherwise, I will make just a huge parade of papersoldiers.